Visited a lovely preserve called Peaceful Waters Sanctuary this week. Such an apt name! Even in the rain, it was a pleasure to walk the trails and the boardwalk – not a soul around, just a few Herons and I enjoying this very tranquil spot. 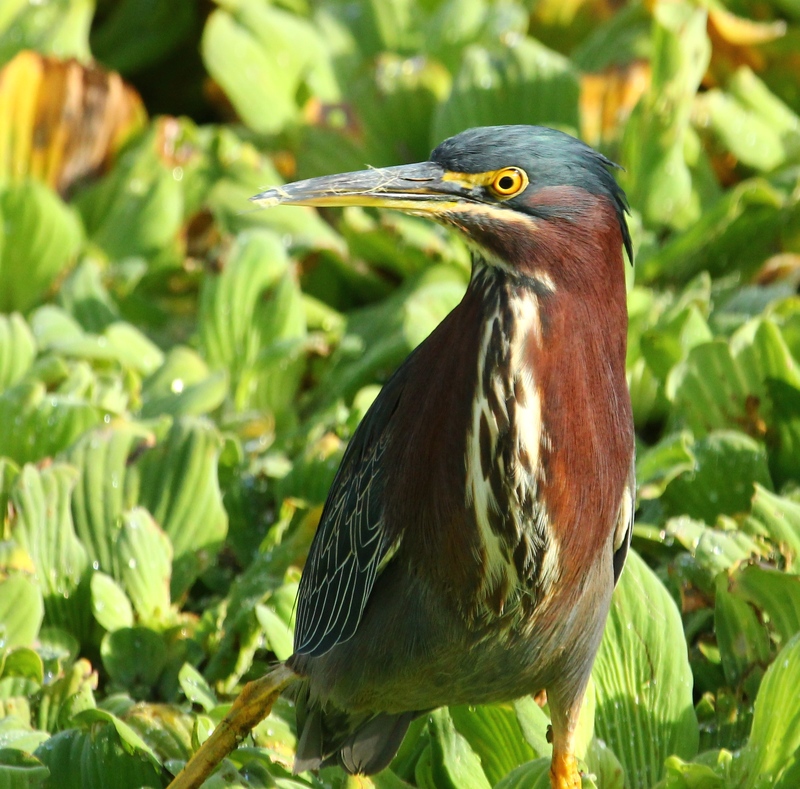 On my second trip, today, the handsome Green Heron was still there – enjoying the thick beds of Water Lettuce in the sunshine. I only crossed paths with one other person, a photographer/birder who gave me lots valuable tips about which birds to see where, next time I come. Green Heron two days later, in the morning sun! Although I didn’t see the Great Blue Heron again at Peaceful Waters today, look who was wading in the pond outside my window when I arrived home. . . I’m so lucky! 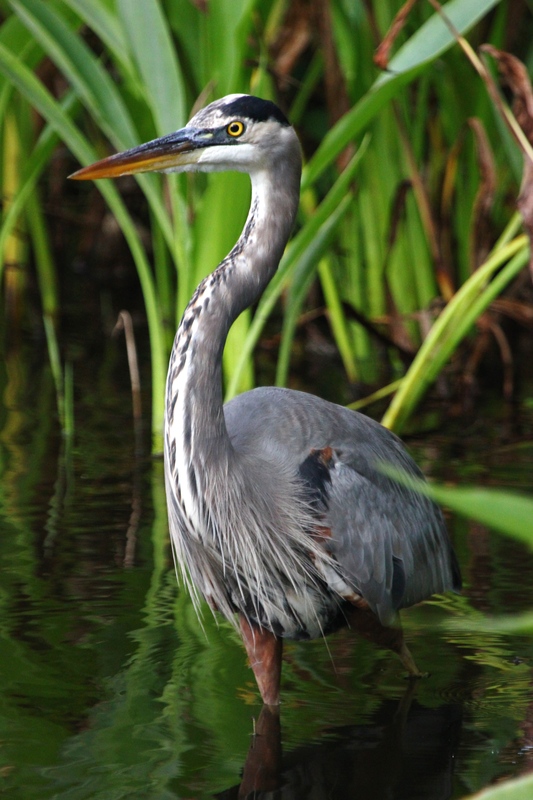 This entry was posted in Birds and tagged Great Blue Heron, Green Heron, Little Blue Heron. Bookmark the permalink. « Osprey on the look-out . . .
Beautiful shots of the herons. 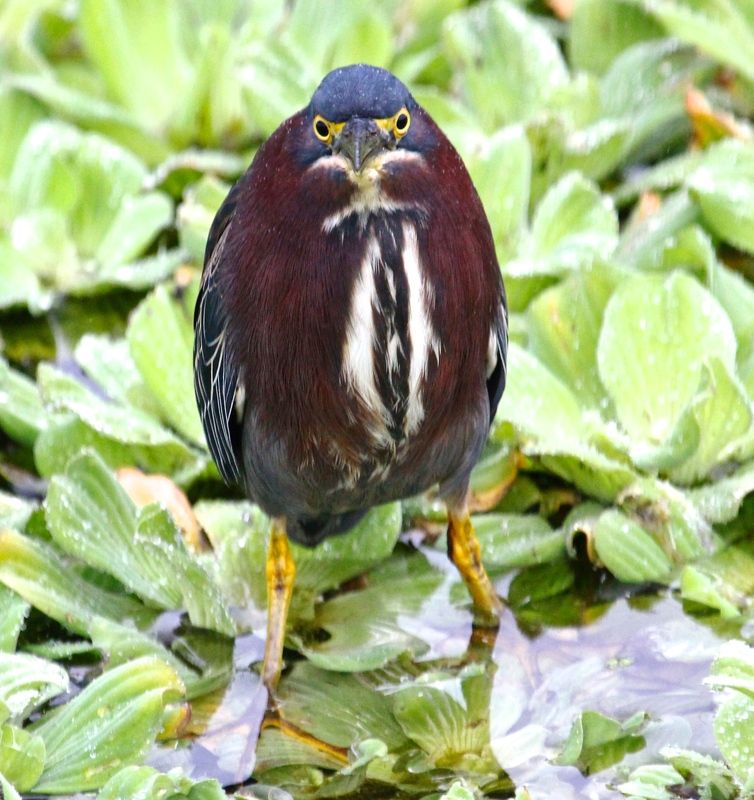 I especially enjoyed the shot of the Green Heron, they leave our area for the winter and it’s been quite a while since I have seen one. I recall being surprised at how often I saw a Green Heron during late fall in the preserve near my home in upstate New York. I always wondered how long he stayed, and where he went for the winter. Maybe he’s here in South Florida now. . . ?? What a great name for a place to go birding. Some lovely images there. Yes!! I love the name… It’s so fitting! What a terrific group you have there! Loved seeing the LBH! 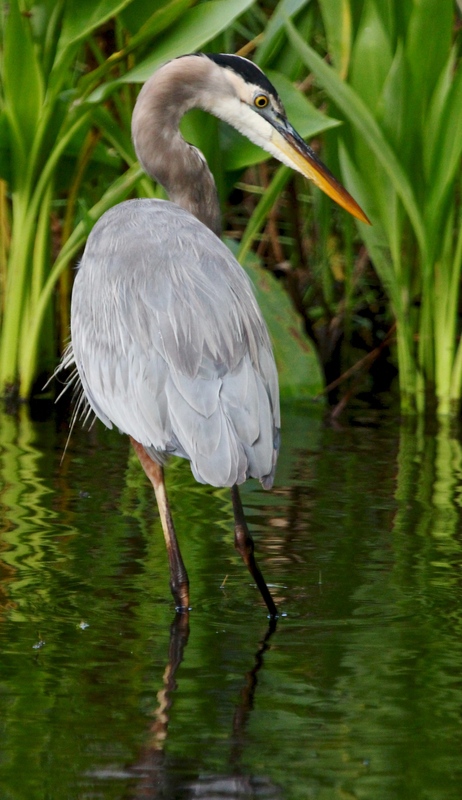 I really have a special fondness for Little Blue Herons. 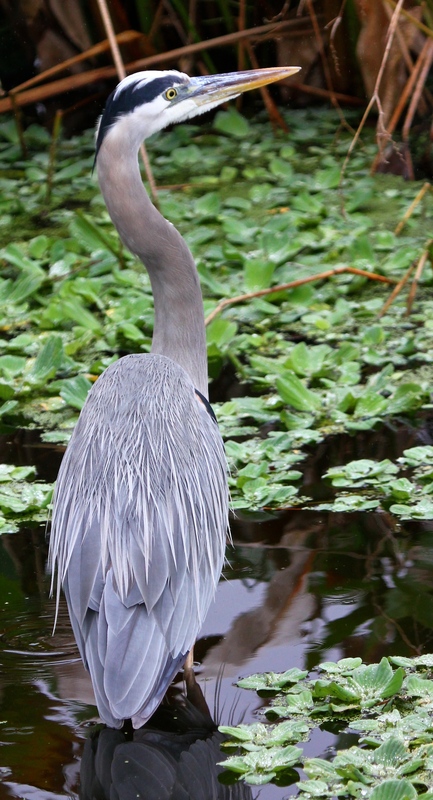 But then again….I actually have a special fondness for quite a few other wetland birds, too! Can’t get enough of these beauties. Your photos are amazing! “Who you looking at? !” The first photo gave me a smile, as I thought that. Thank you! Yes, it is so interesting to watch them watching us!